Inspired by flower crowns with the perfect amount of mini flowers. Made with cardstock paper and floral wire. 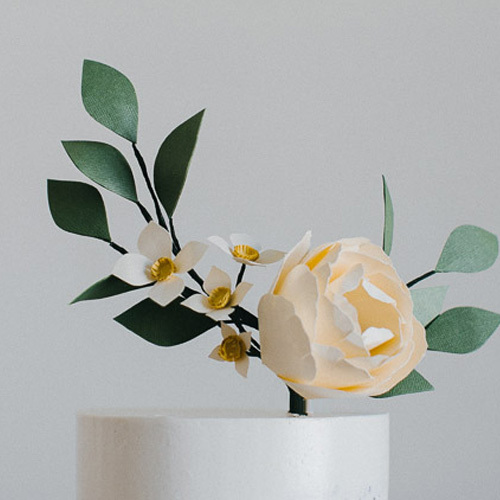 A modern cake topper that can be used for your wedding day, bridal shower and it can easily be created for your baby shower too! We could also customize the flowers in your specific wedding colors. If you would like to customize this piece in a different color or size, please email info@utterlyengaged.com. This does not include the cake.